Summer is right around the corner and it’s time to shift the focus to our outside space. You know that place where we spend our time hanging with family and friends during the next few months. Well, my space needs some updating. Actually, what it really needs is a few pillows to liven things up. After looking around in a few of my favorite catalogs, I found these. Aren’t they pretty! Pretty Expensive that is! Decorative pillows are a great way to liven up your space on a shoe string budget. 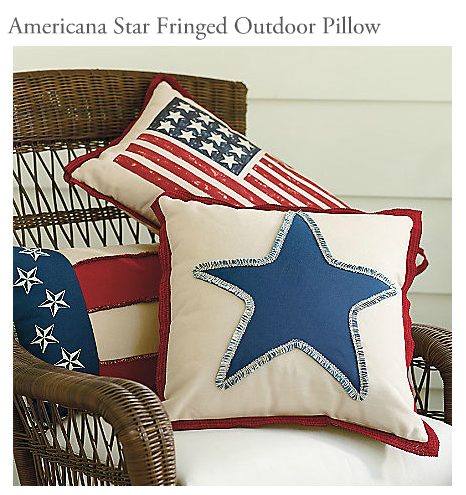 Since I already have a ruffle flag pillow in my line up, I’m going to focus on the Americana star pillow today. I promise, they are really easy! To make things easy, I am going to refer back to my zipper pillow cover tutorial. 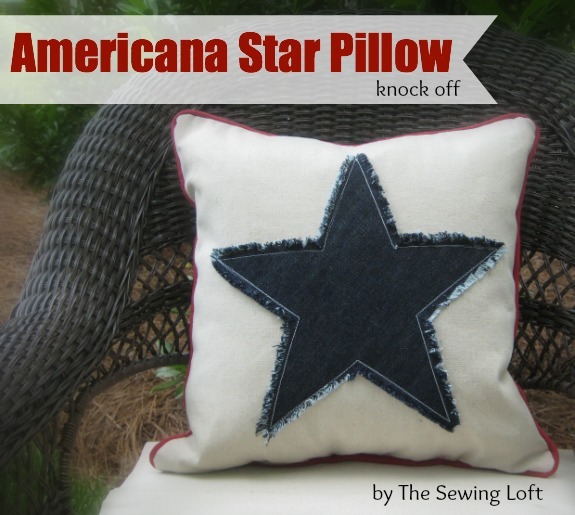 This Americana Star pillow uses this pattern closure construction. Draw star shape on your denim. *Clip art is your friend… just print it out to size. I needed to print mine in 2 pieces and tape together. Download star template here. Trace star shape on wrong side of fabric. This is your stitch line. 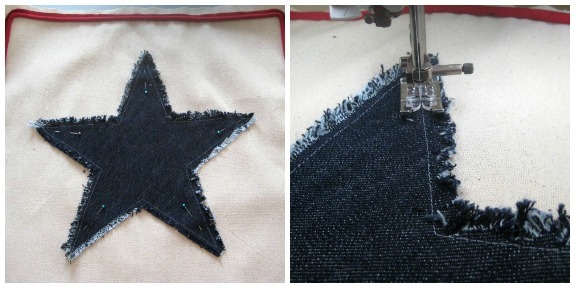 Straight stitch all around star outline. I like to use a small stitch. When you hit a corner, leave you needle in the down position; lift your presser foot up and turn fabric. Continue straight stitching all around. *This is your stay stitch. 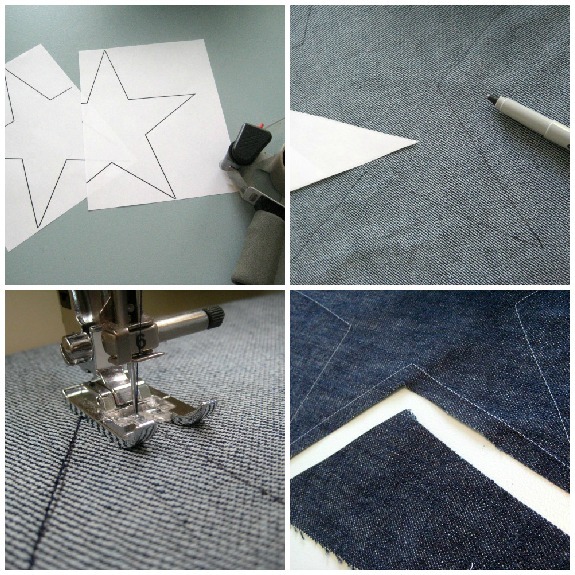 Cut all around the star leaving 1/4″ denim fabric past seam. 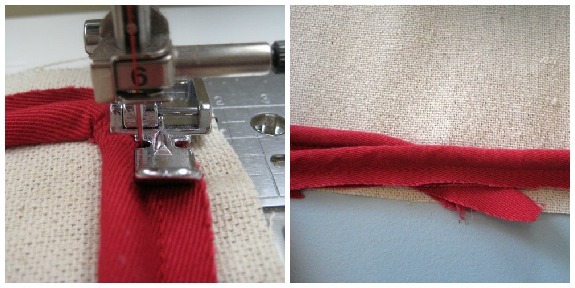 Next clip fabric in 1/4″ to 1/2″ sections at right angles to seam; fringe with your fingers. Create colored piping with a long continuous strip of bias folded in half over cording. 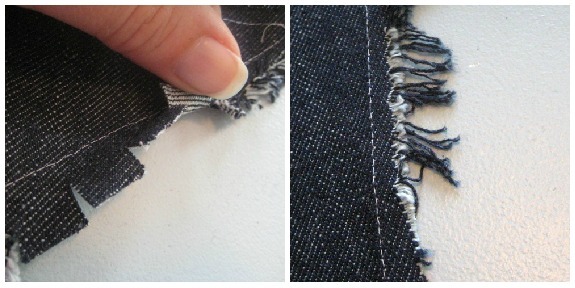 Attach your zipper foot to machine and straight stitch as close to cording as possible. You want this to be a semi snug fit. Click here for additional help on making custom piping in 4 simple steps. Start piping in the middle of your Americana pillow and stitch all around. When you get to the other side, clip the cording insert and overlap. Position the star in the center of your pillow and pin in place. Stitch all around. Actually, since this is an appliqué patch, I stitched twice. Insert zipper closure, stitch front and back together, and you are all set. 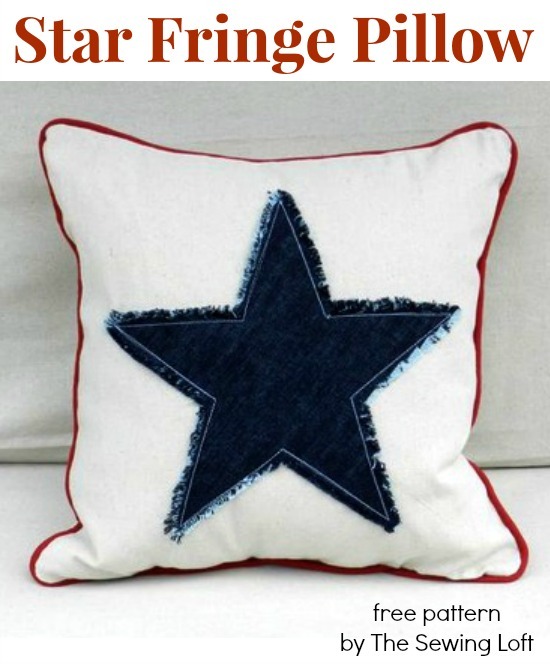 Okay, let’s break it down: Original Americana Star Pillow: $95.00 plus shipping my version of the Americana Star Fringe Pillow: under $10.00. By my math, I think that’s a home run! 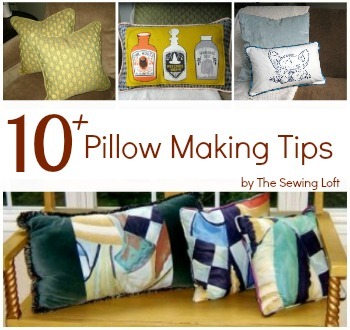 Check out my top 10 pillow making tips for more ideas for decorating your space on a budget. I just want to say (no offense to that other company) that your pillow is way cuter!! I was thinking it would also be cute on a plaid background. Thanks for sharing. Simple patterns inspire creativity because they can be used in so many different ways! This is an awesome pillow! Thanks for your tutorial and pattern!! I am also making the Ruffled Flag pillow….. LOVE IT!! Yay, I would love to see them Susie!